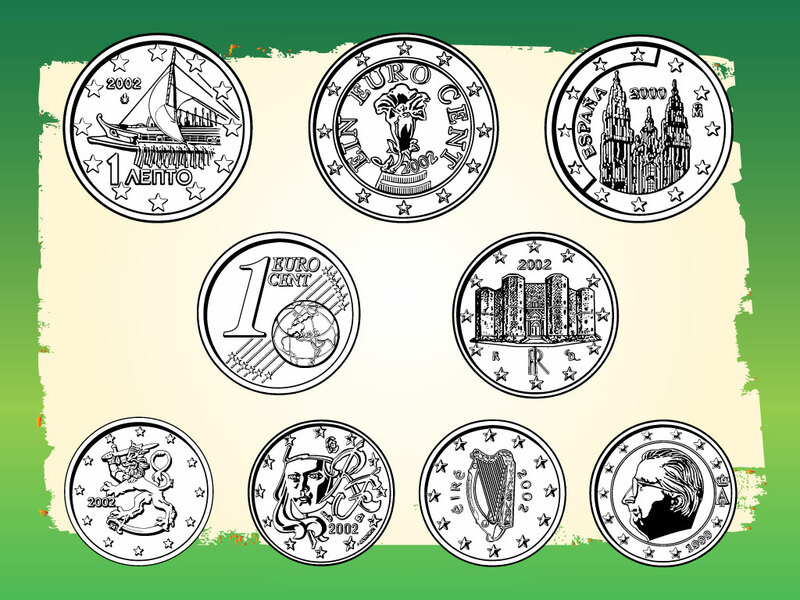 This vector pack comes with nine different coins from Spain, Austria, Greece, France, Belgium, Ireland, Italy and Finland. Highly useful graphics for finance and international economic design projects. Download as AI and PDF for all your design needs. Tags: Coin, Currency, Eur, Euro, Europe, Money, €.